ANILINE ENVIRONMENTAL surveys building for mold species and extent of contamination. We perform airborne spore trap and surface tape tests to find the extent of contamination. We then recommend quality contractors and materials to make sure that your property is remediated properly. 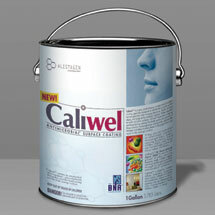 Our EnviroKnowHow products division is the preferred master distributor for Caliwel™ anti-mold paint. Caliwel™ is an award winning USEPA registered mold remediation product. ANILINE ENVIRONMENTAL has developed several specific procedures for applying Caliwel™ on wallboard, ceilings, attics, basements, crawlspaces, and inside air ducts.